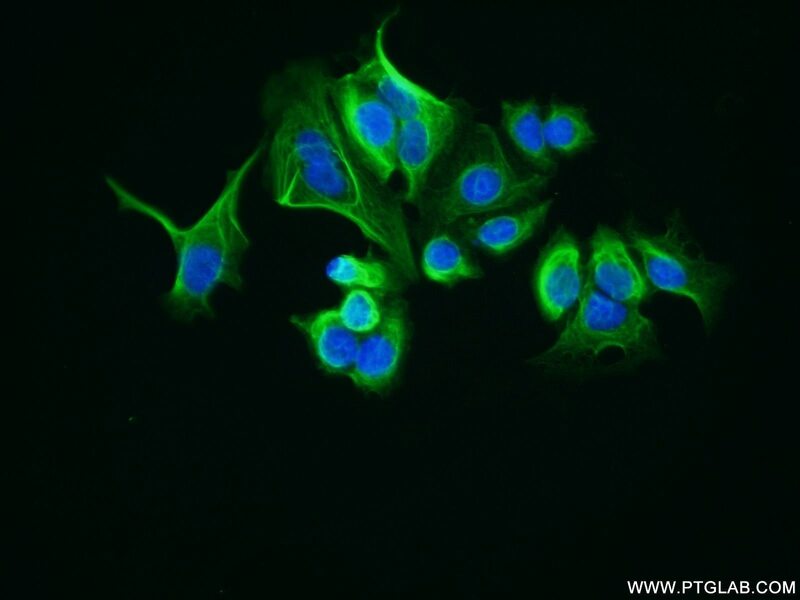 IP Result of anti-LRCH1 (IP:25017-1-AP, 4ug; Detection:25017-1-AP 1:300) with HeLa cells lysate 1600ug. 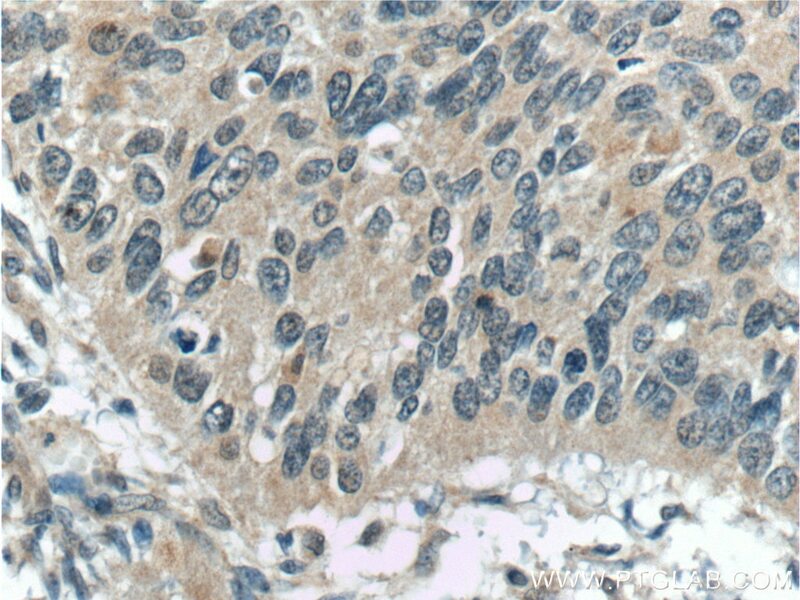 LRCH1, also named as CHDC1 or Neuronal protein 81, is a 728 amino acid protein, which contains one CH domain and nine LRR repeats. 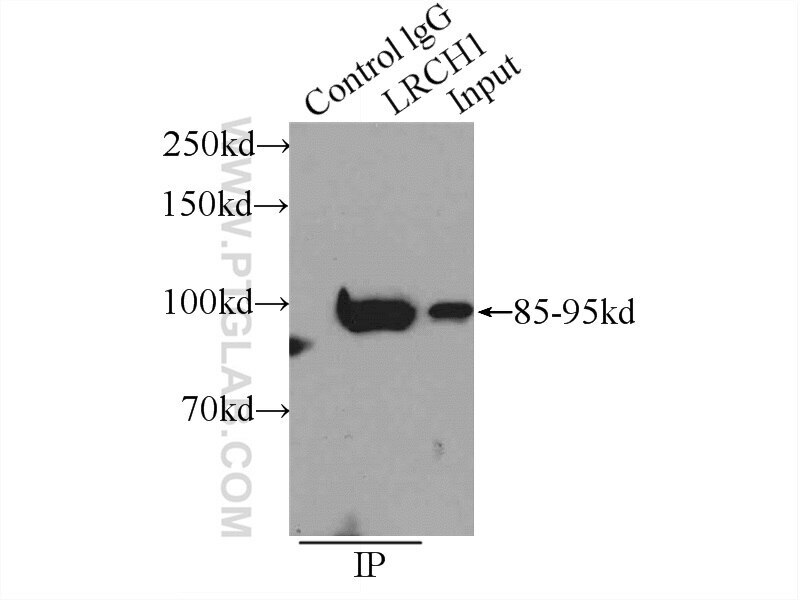 The molecular weight of LRCH1 is 81 kDa and it contains phosphorylation modified residues. 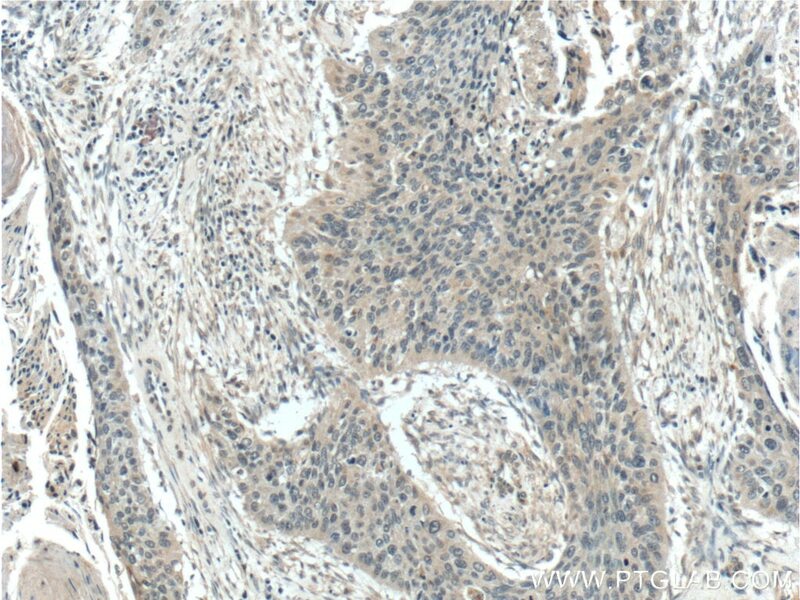 we detected a 85-95 kDa protein by western blot. The function of LRCH1 is still non-known.